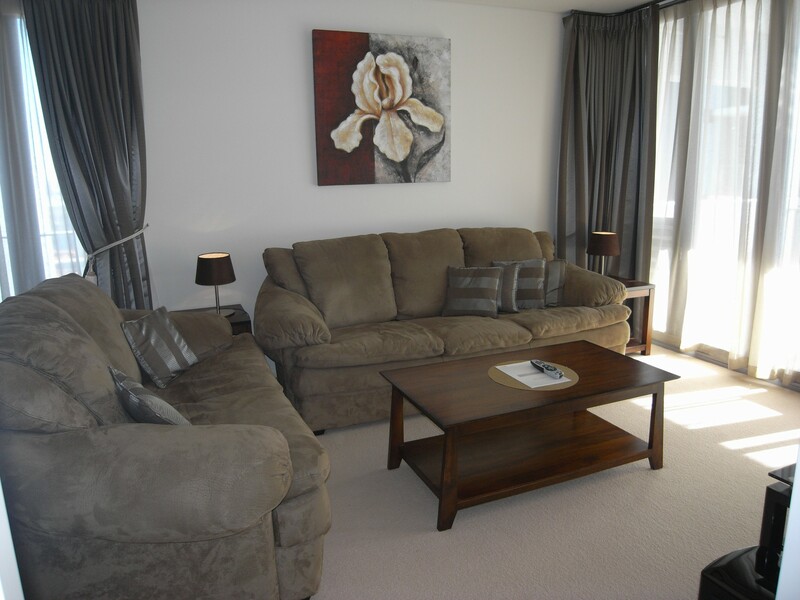 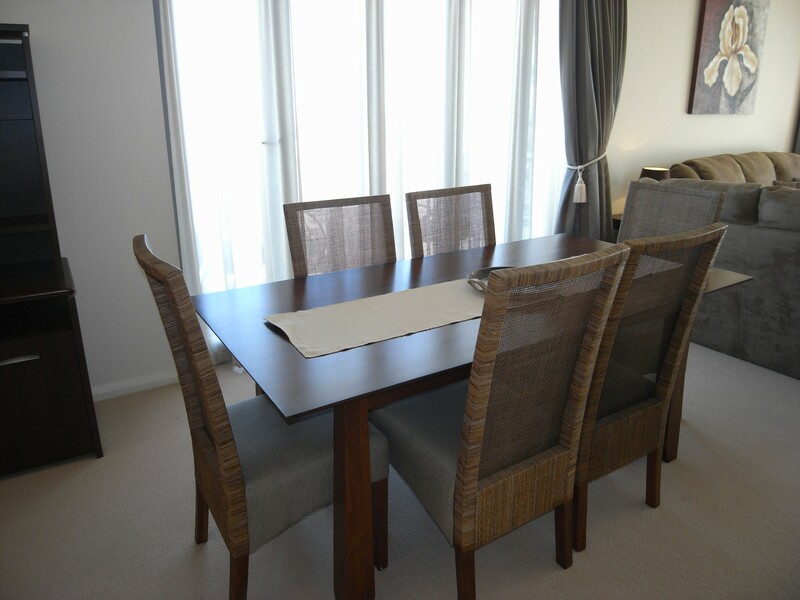 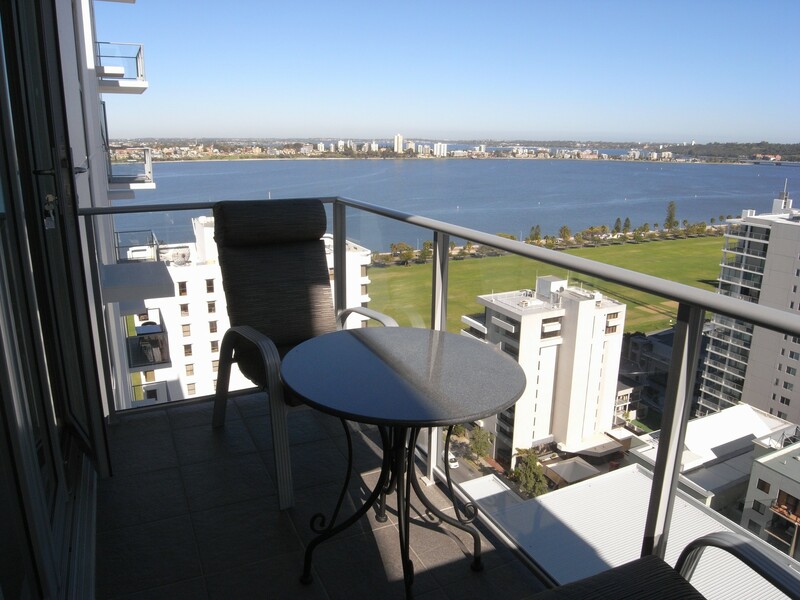 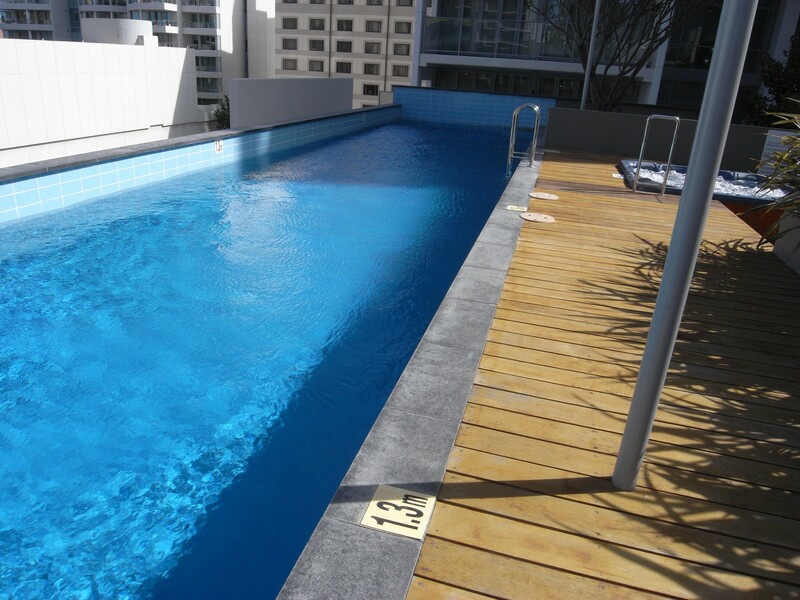 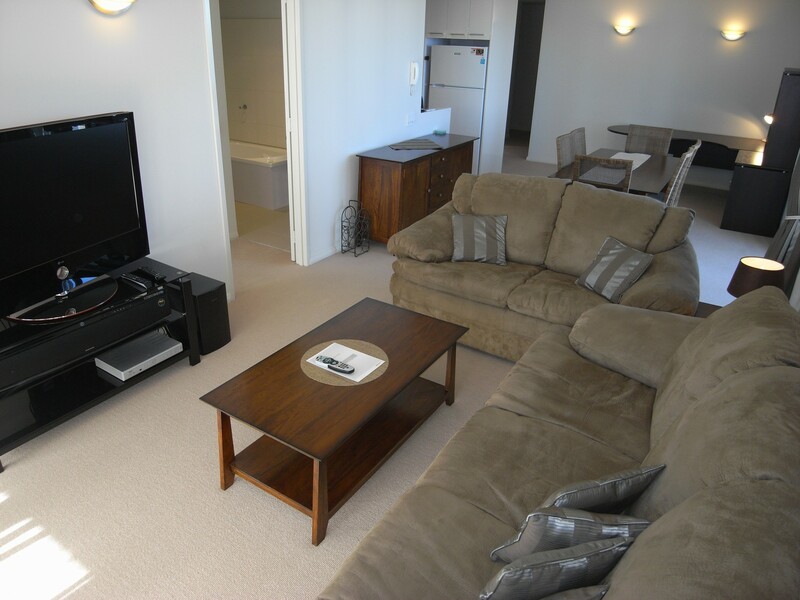 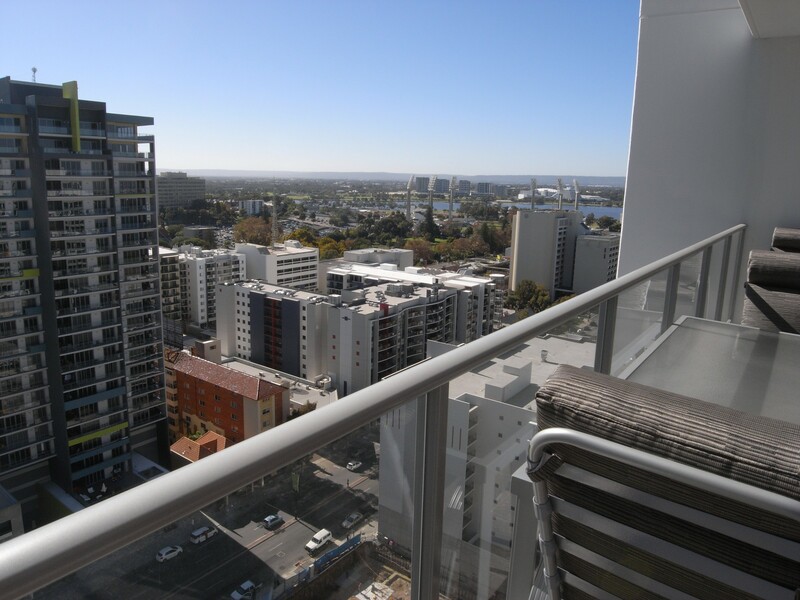 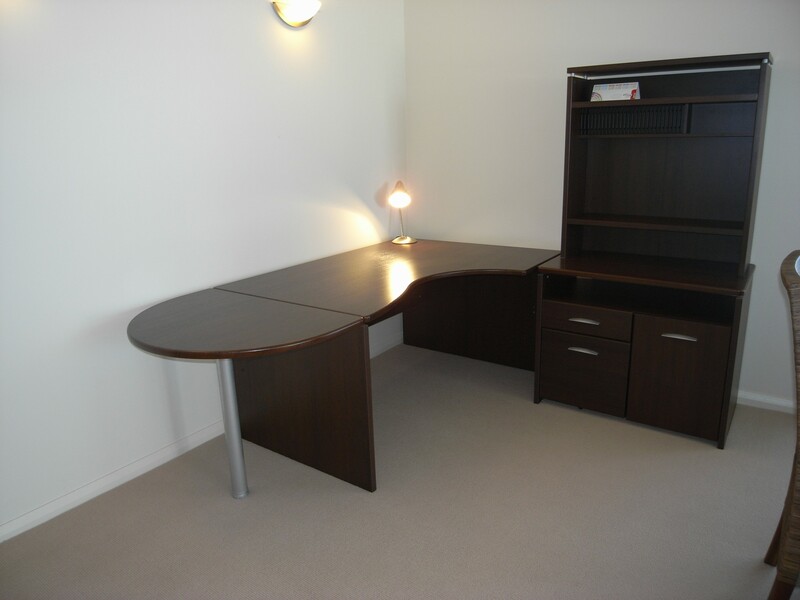 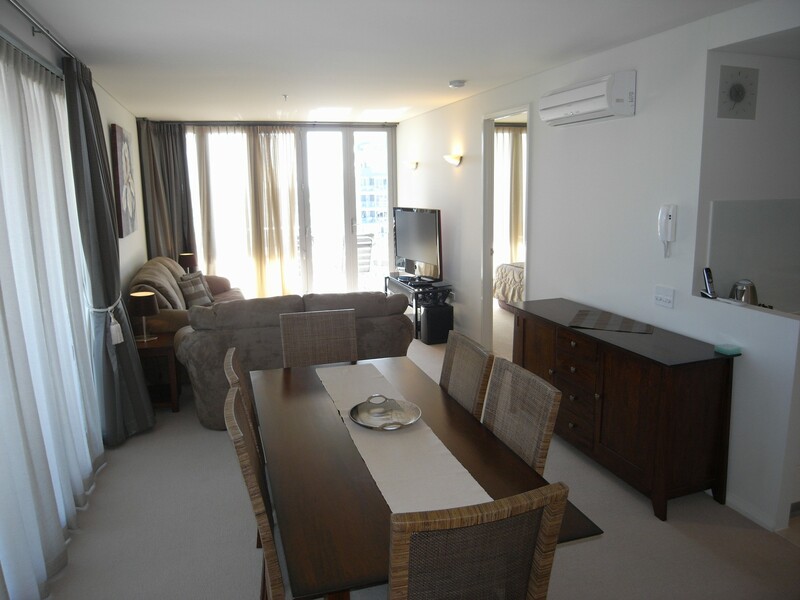 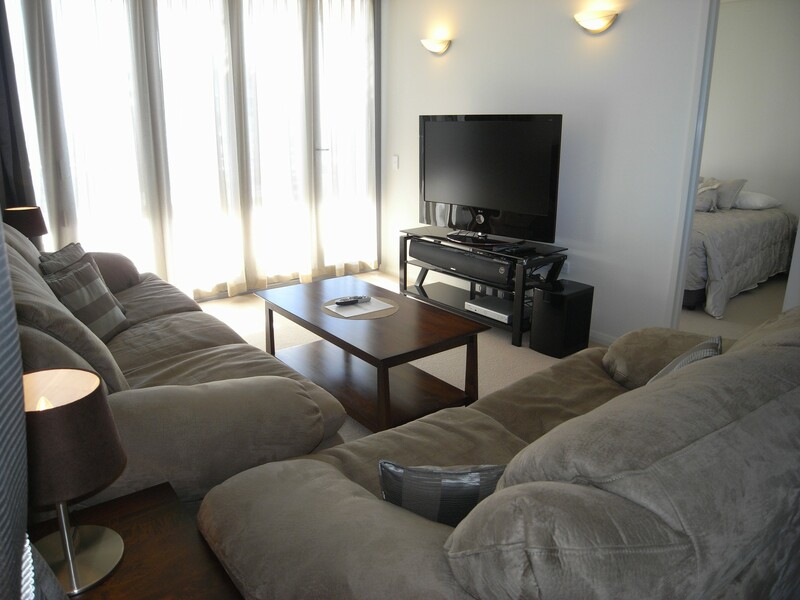 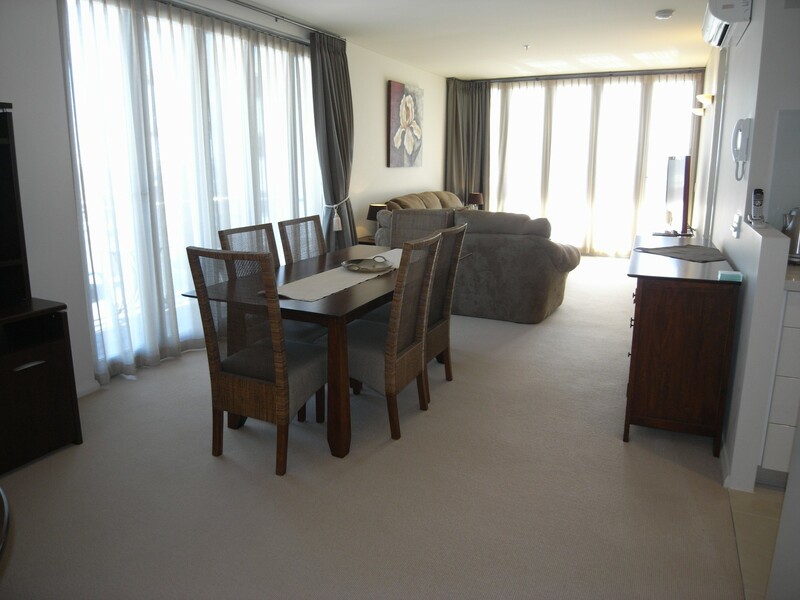 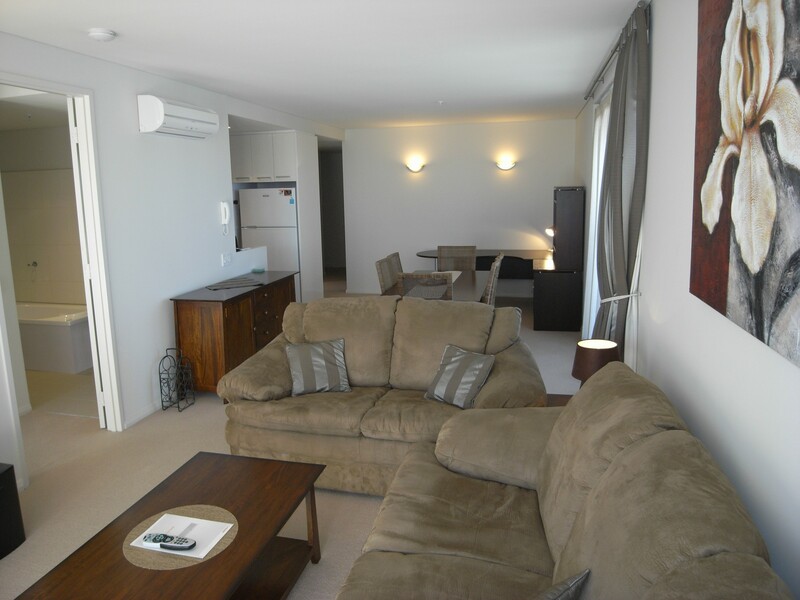 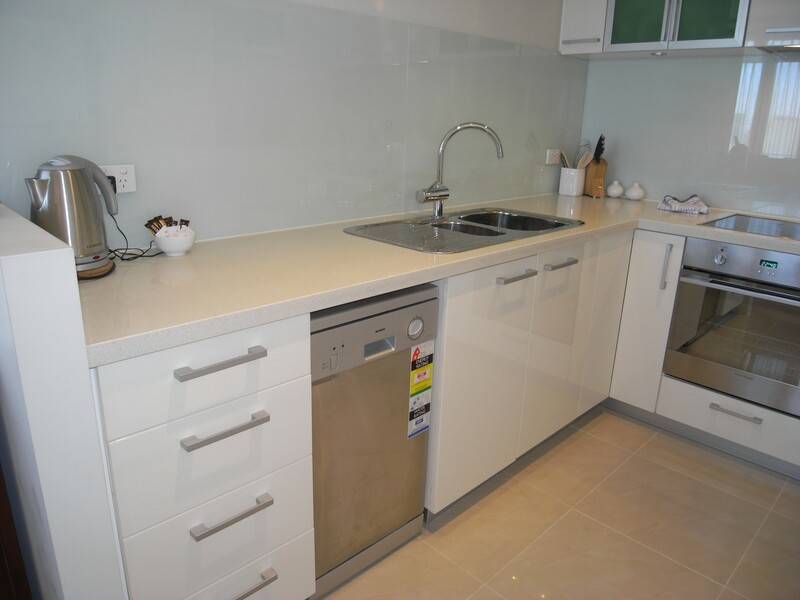 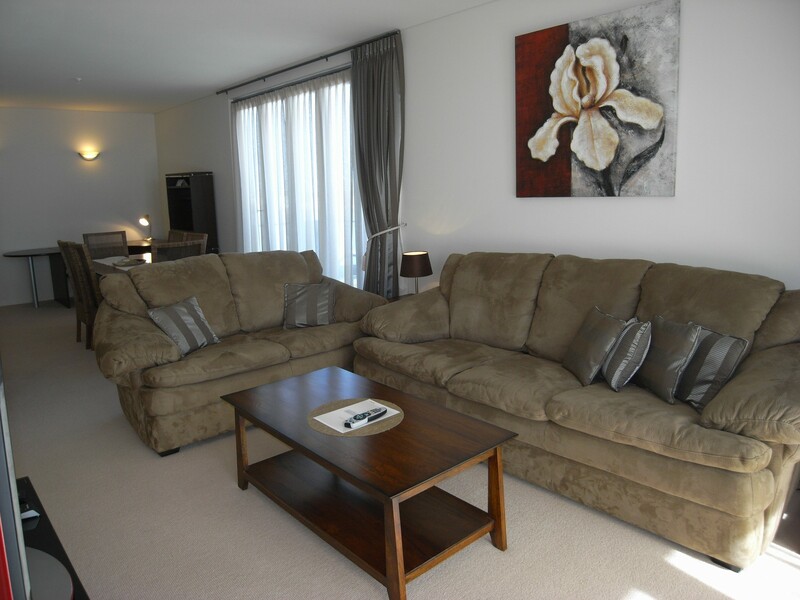 Two bedroom apartment located on Adelaide Terrace in the heart of Perth City. 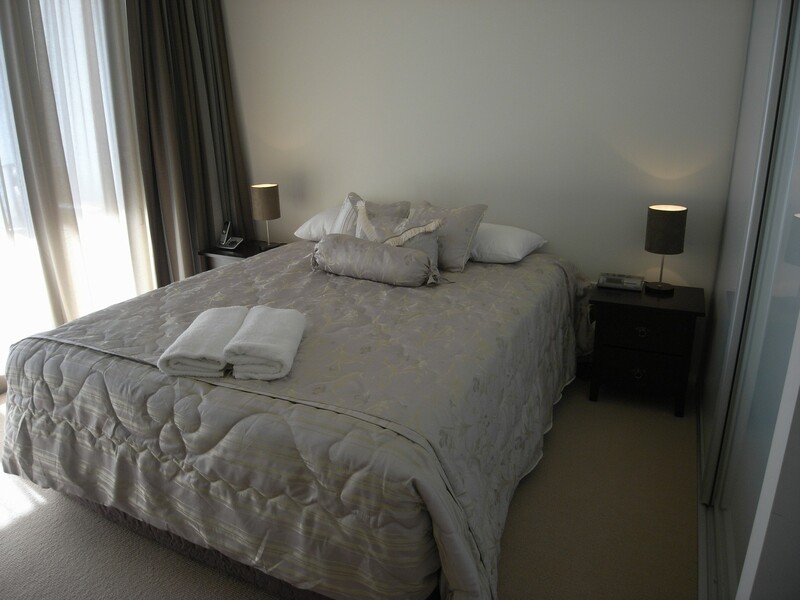 Master bedroom with Queen bed, two bedside tables with lamps, built in robe & ensuite bathroom including single vanity, shower & toilet. 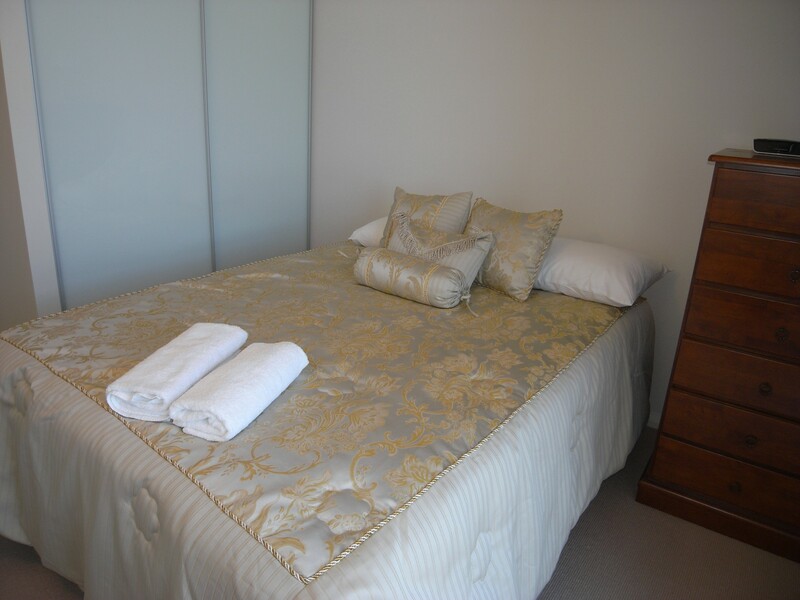 Bedroom 2 with Queen bed, chest of drawers & a built in robe. 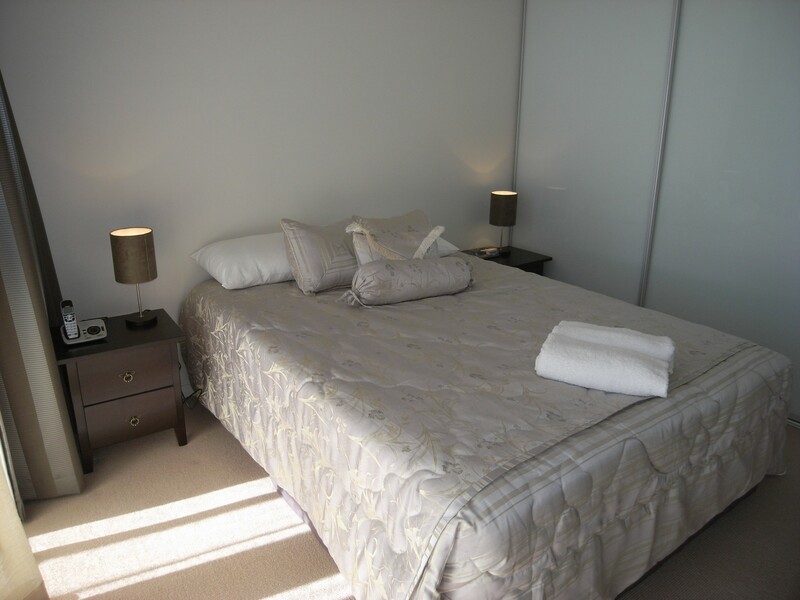 Quality bed & bath linen, plus pool towels provided. 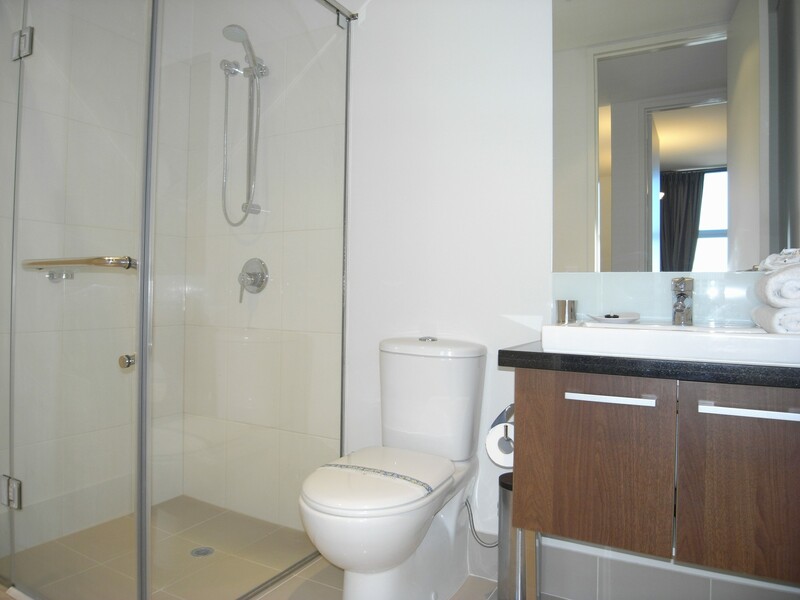 Main bathroom with single vanity, shower, bath & toilet. 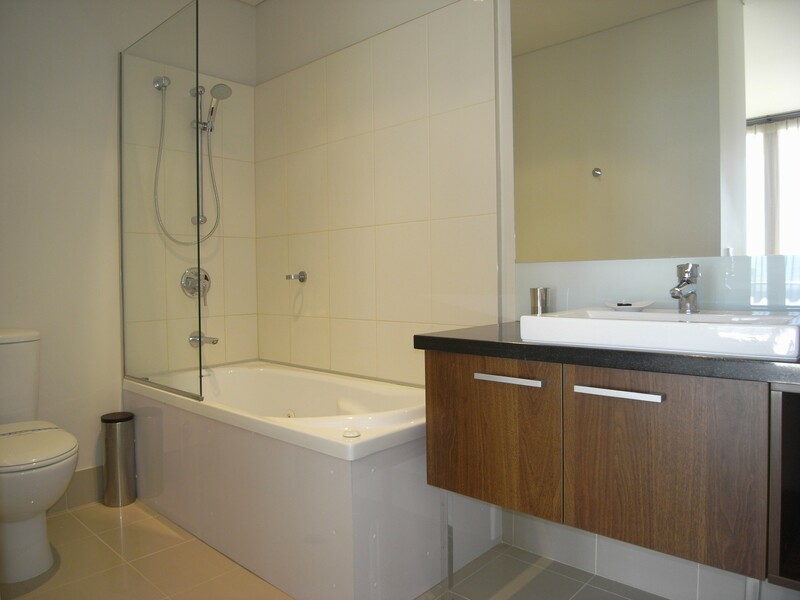 Complimentary starter pack of Outback Essence guest amenities supplied in each bathroom. 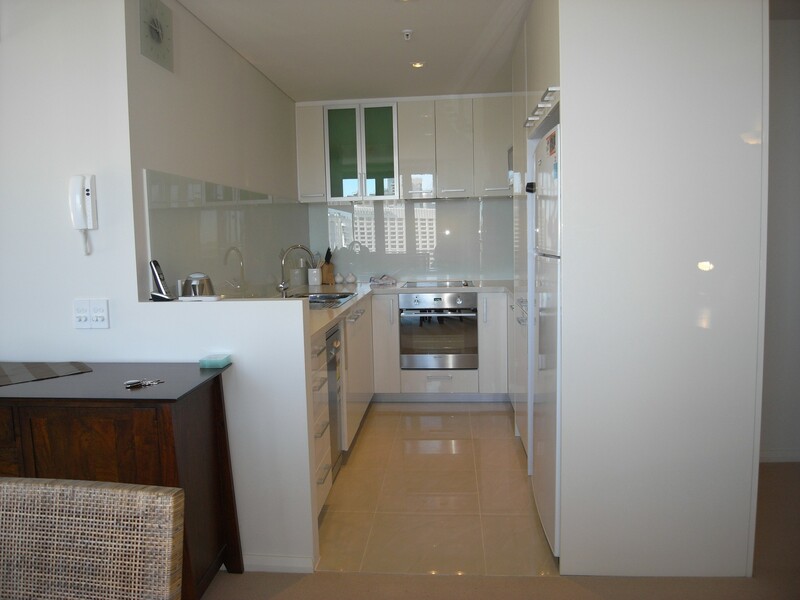 Fragrances selected from various parts of Australia, providing guests a truly Australian experience. 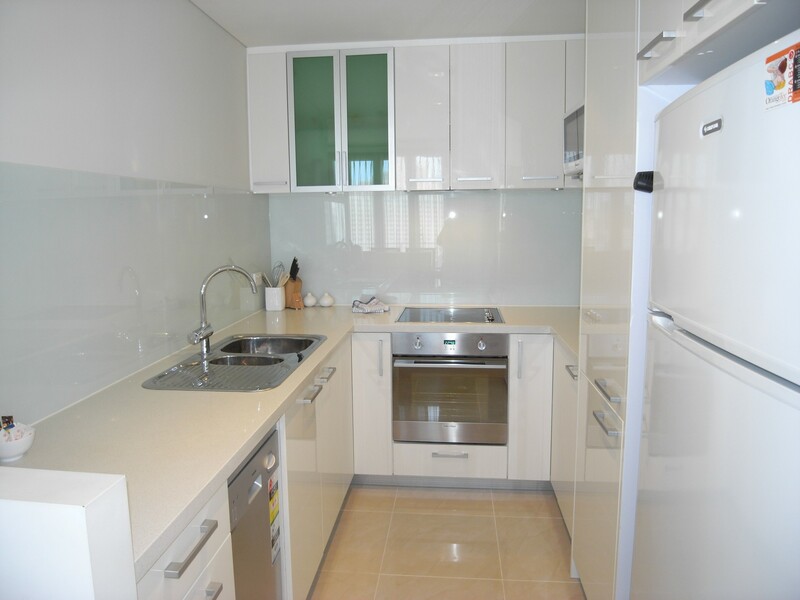 Modern kitchen includes electric cooktop, oven, dishwasher, double sink & fridge/freezer. 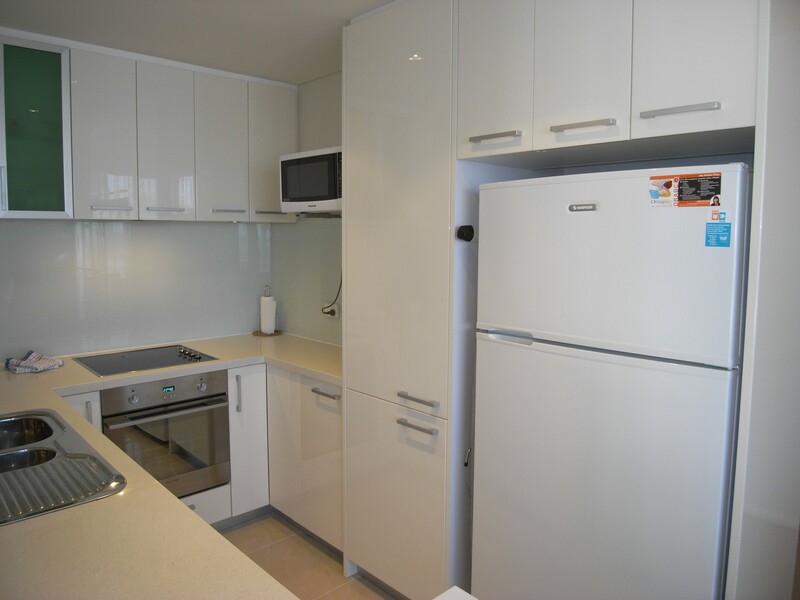 Kettle, toaster & microwave also included. 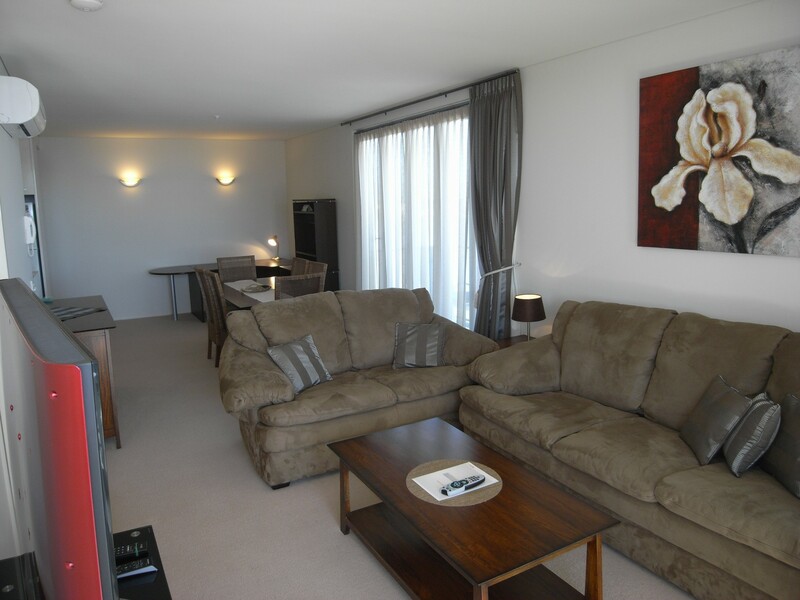 Tea & coffee facilities including complimentary tea, coffee & long life milk supplied. 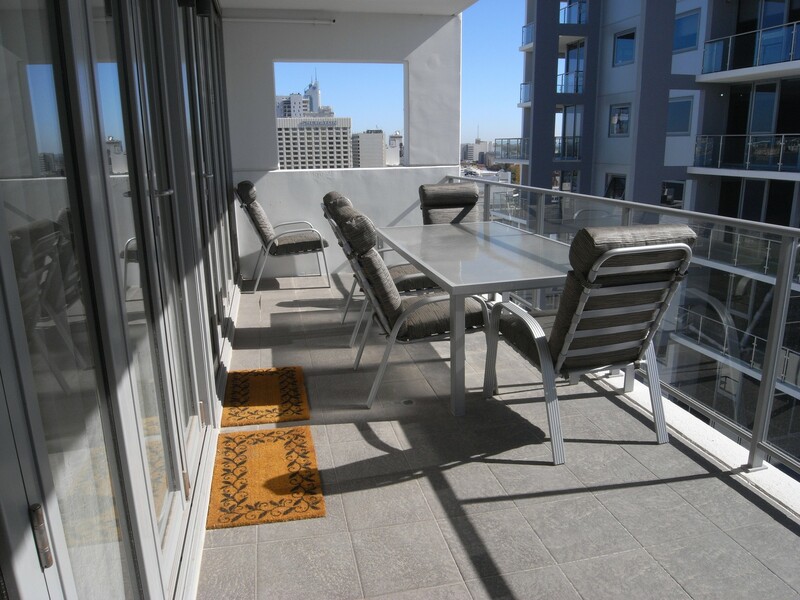 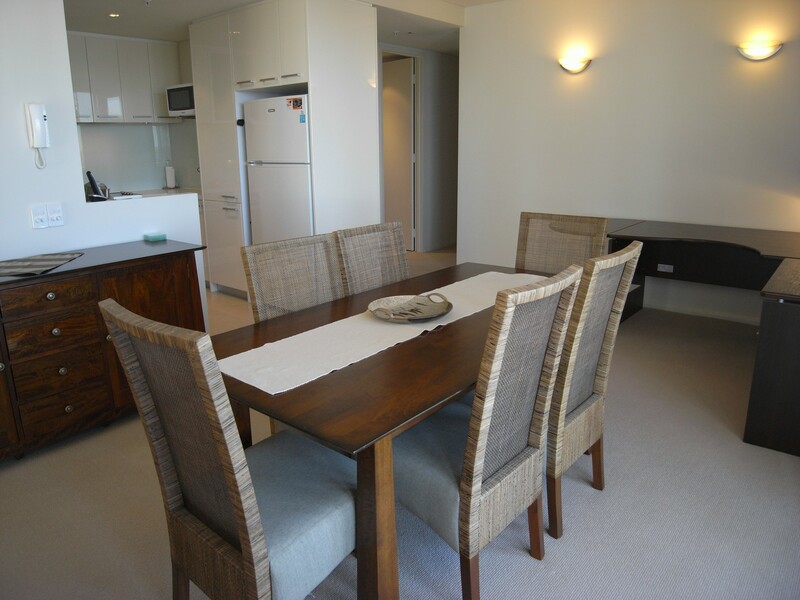 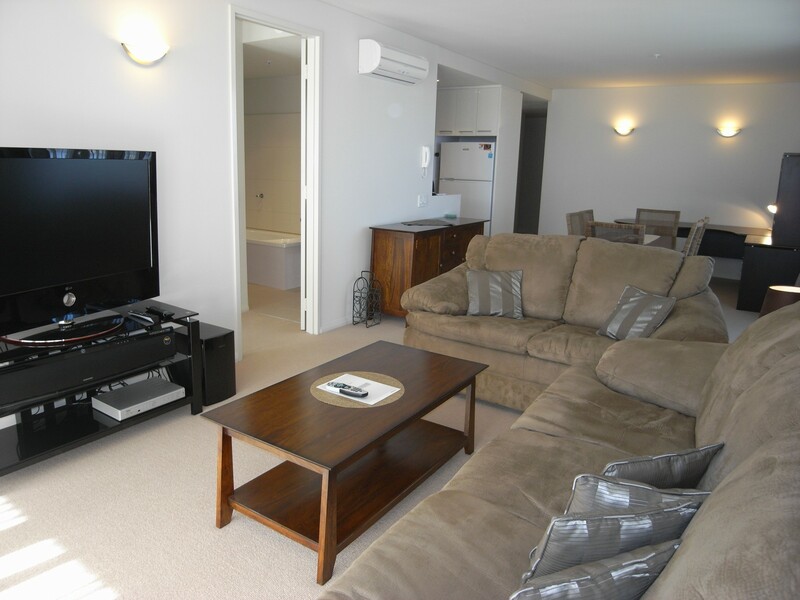 Open plan living/dining area overlooks the city & includes dining table with seating for 6, two couches, flat screen TV with Foxtel & DVD player. 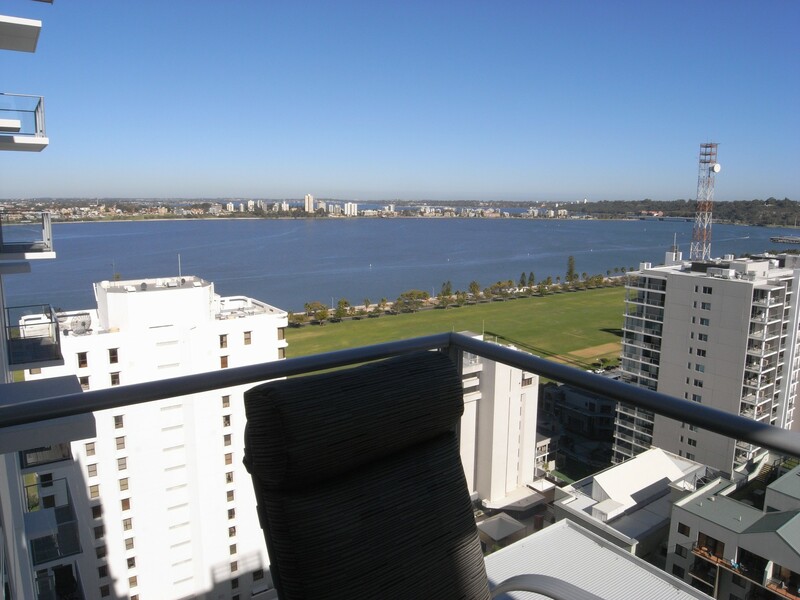 Glass sliding doors lead to balcony showcasing the river views & includes a large outdoor setting with seating for 5. 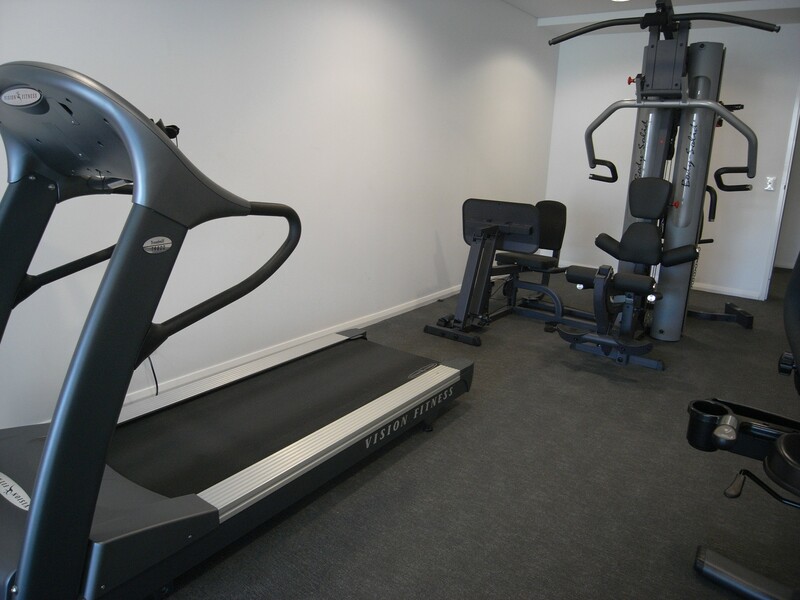 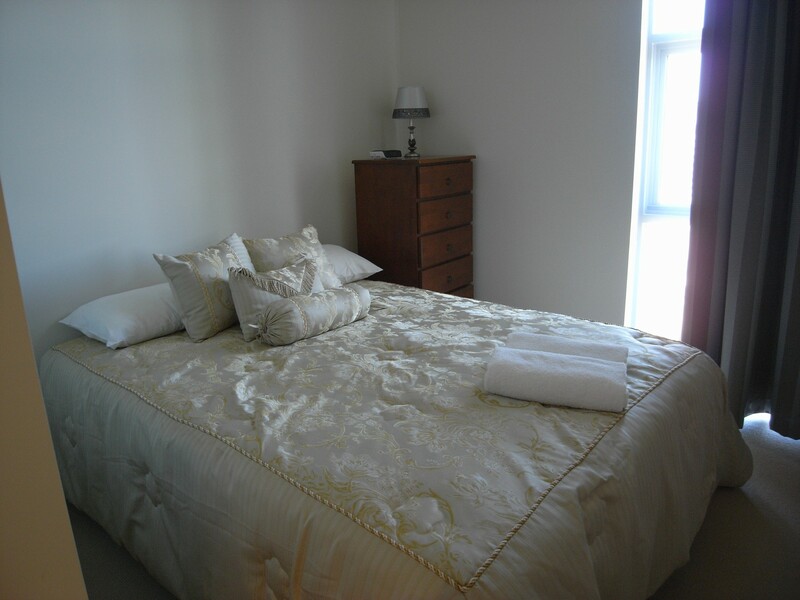 Full laundry facilities include - washing machine & tumble dryer (located in the bathroom). 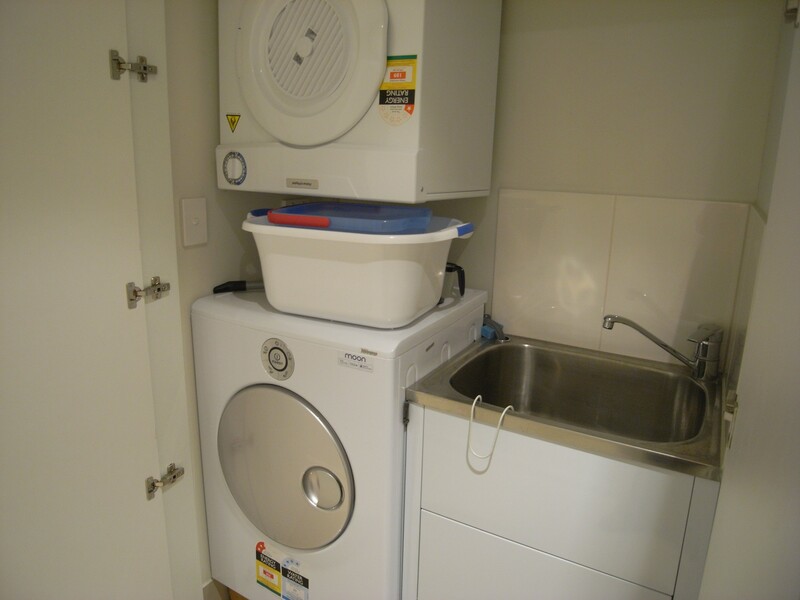 Hairdryer, iron & ironing board included. 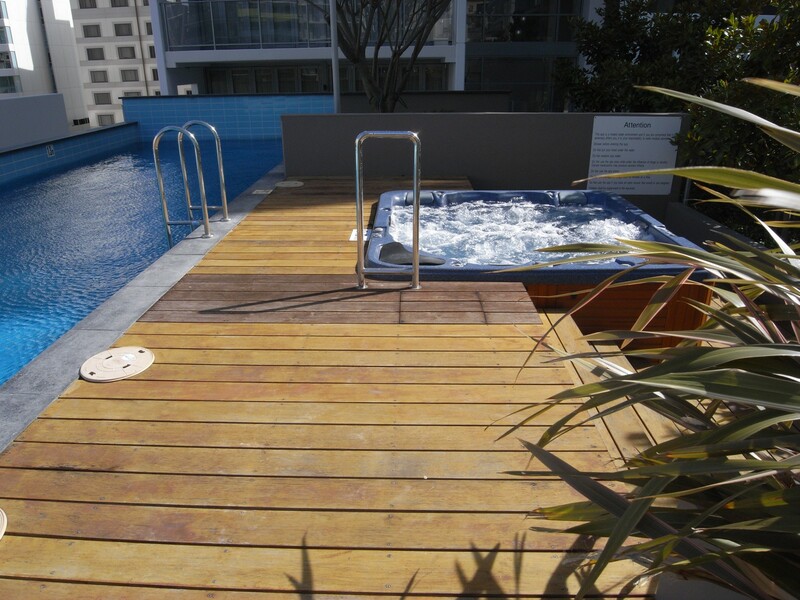 The complex includes a lap pool, spa & gym, which is available for all guests to use. 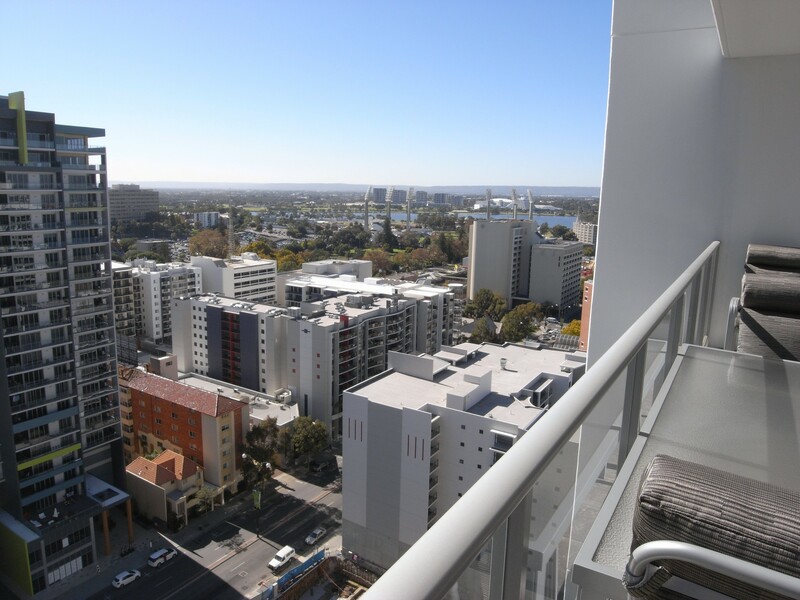 There is a free Cat bus stop on your doorstep to take you around Perth city to enjoy the shopping, restaurants & cafes.